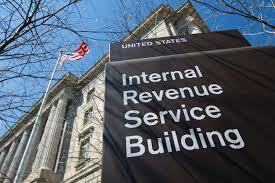 The Internal Revenue Service has reopened its Preparer Tax Identification Number (PTIN) system. “The IRS is resuming the issuance of PTINS, without charge, on June 21, 2017,” says the IRS announcement, which includes a set of related FAQs. The lifting of the suspension on the PTIN system follows a District Court ruling which found that the IRS has the authority to require tax preparers to obtain a PTIN, but struck down the IRS’ practice of charging a fee for PTIN registration and renewal. In other tax news, the IRS issued a warning of a ‘new twist’ on an old tax scam. Kelly Phillips Erb says in Forbes, “in the scam, callers posing as IRS representatives advise potential victims that two certified letters were sent to the taxpayer in the mail but were returned as undeliverable. The callers then threaten to arrest the potential victim if a payment is not immediately made through a prepaid debit card. The scammer also tells the victim that the purchase of the card is linked to the Electronic Federal Tax Payment System (EFTPS) system: it is not. For further details, see the IRS announcement.